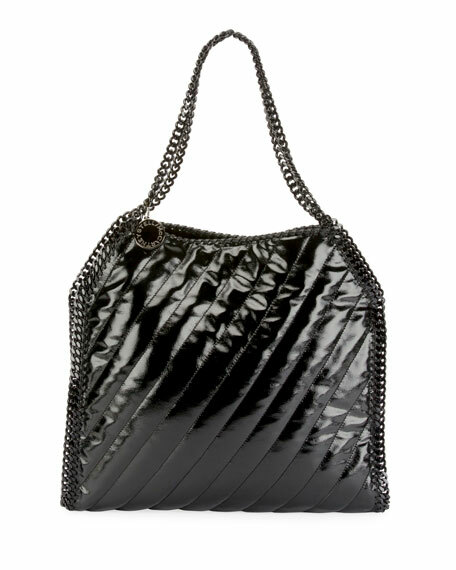 Stella McCartney quilted shiny faux-leather tote bag. Signature chain and whipstitch trim. Chain shoulder straps with logo disc. 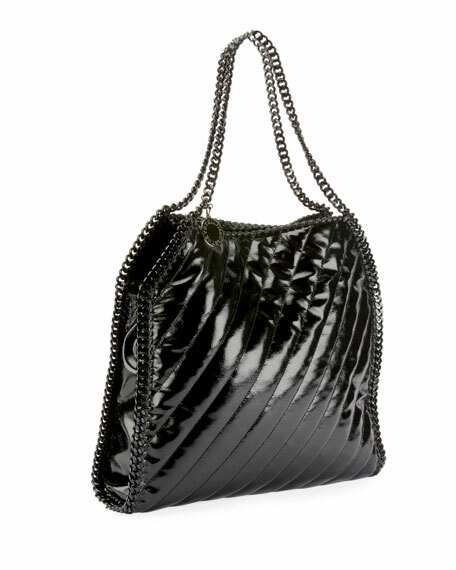 For in-store inquiries, use sku #2677954.